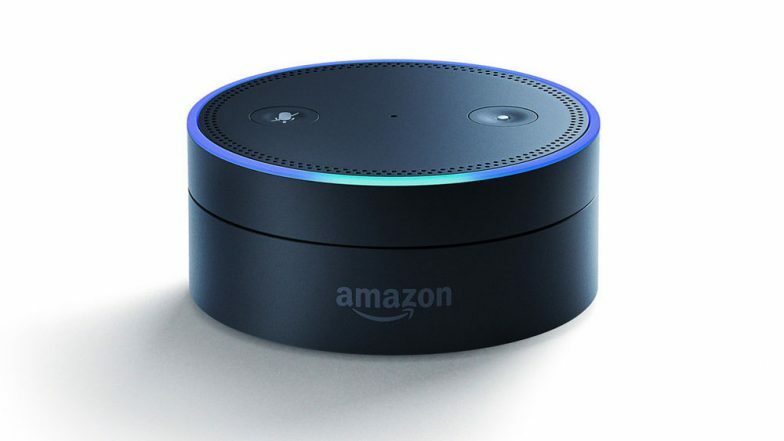 New York, March 24: Amazon Echo with in-built Alexa or Google Home smart speakers can not only play your favourite songs at home but can also assist doctors during medical procedures, say researchers. Smart speakers can be programmed to act as an aid to physicians in hospital operating rooms, researchers said on Saturday during the Society of Interventional Radiology's annual scientific meeting in Austin, Texas. Facebook Messenger Now Getting WhatsApp Like Quoted Message Reply Feature. Smart home speakers offer a conversational voice interface that allows interventional radiology (IR) physicians to ask questions and retrieve information needed for their patient treatments without breaking sterile scrub. During treatment, IRs rely on nuanced medical information delivered in a timely manner. "When you're in the middle of a procedure, you need to remain sterile, so you lose the ability to use a computer," said Kevin Seals, MD, a fellow in interventional radiology at the University of California, San Francisco (UCSF). PUBG Heartbreak for Fans? Mobile Game to Come Under Time Restrictions in India. This smart speaker technology helps us to quickly and intelligently make decisions relevant to a patient's specific needs, added Seals, who is also the lead author of the study. To reach this conclusion, the researchers at UCSF developed a device-sizing application for the Google Home smart speaker. "This technology allows physicians to concentrate more closely on the care of their patients, devoting less time and mental energy to device technicalities," noted Seals. In developing the application, size specifications were acquired using literature reviews for 475 IR devices, such as catheters, sheaths, stents, vascular plugs and others. "Further research will look to provide information from electronic health records and patient clinical data, such as allergies or prior surgeries," said researchers.